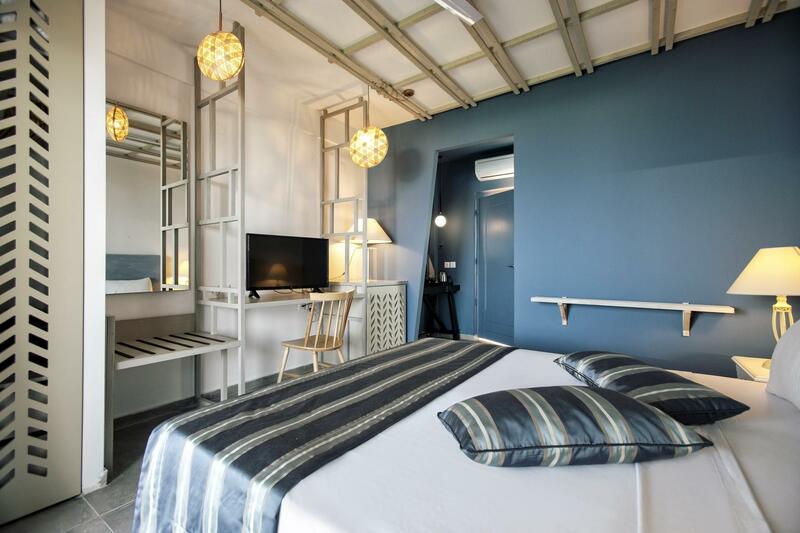 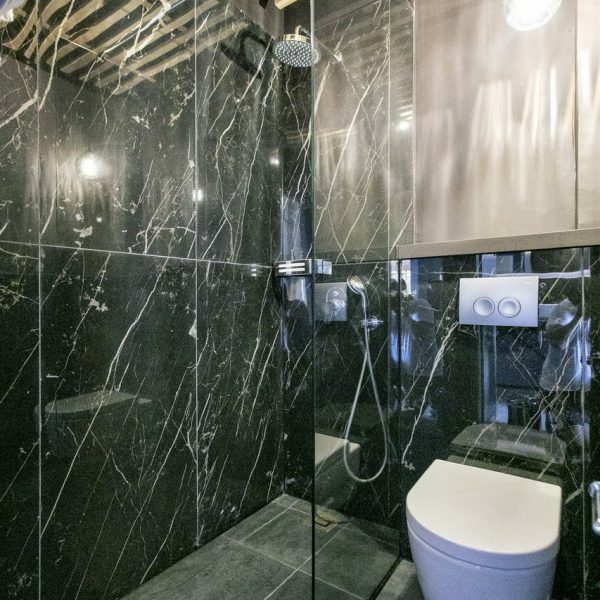 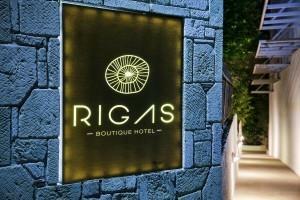 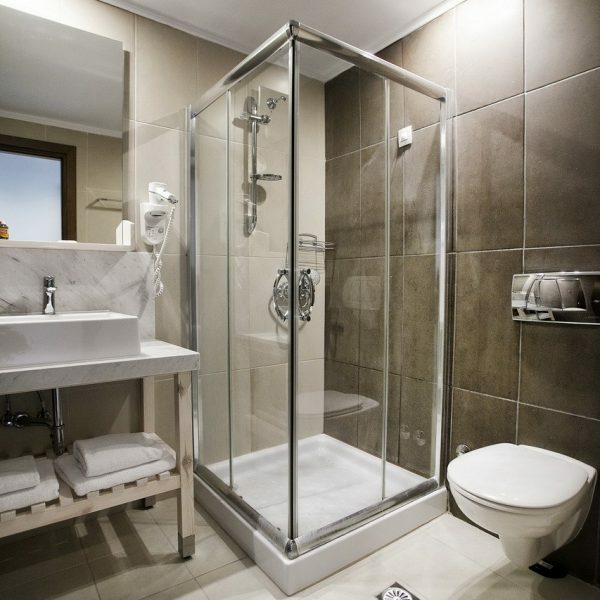 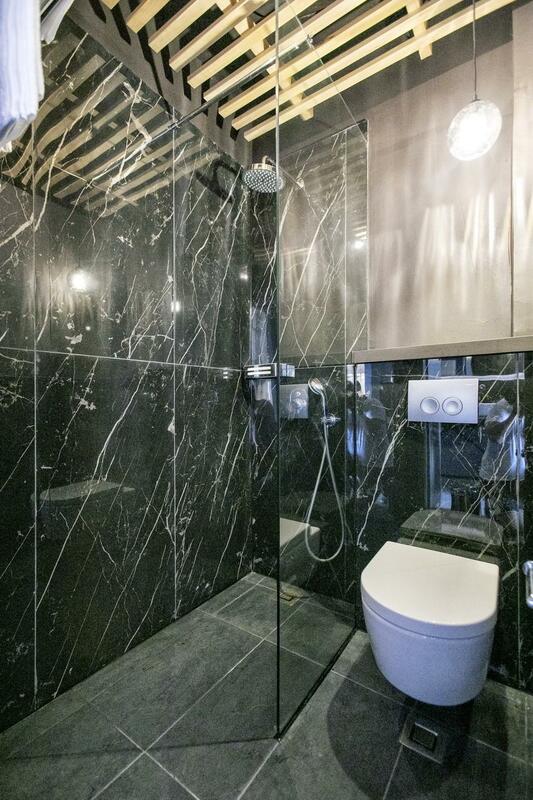 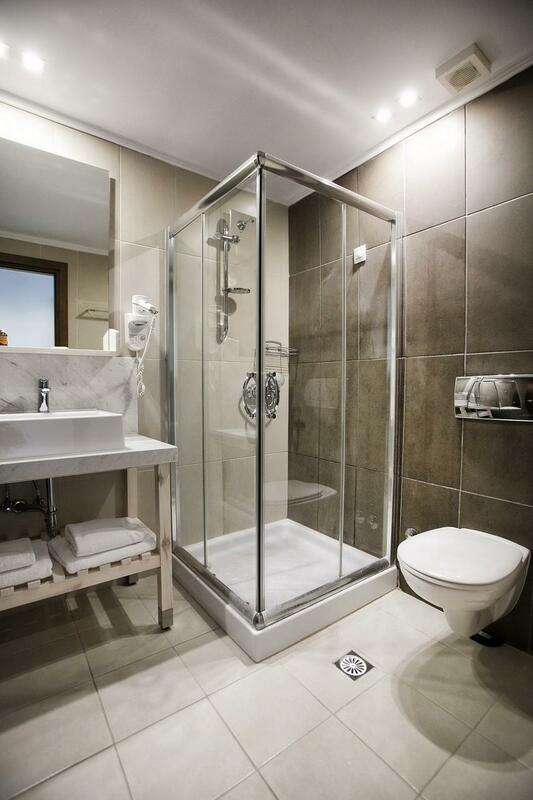 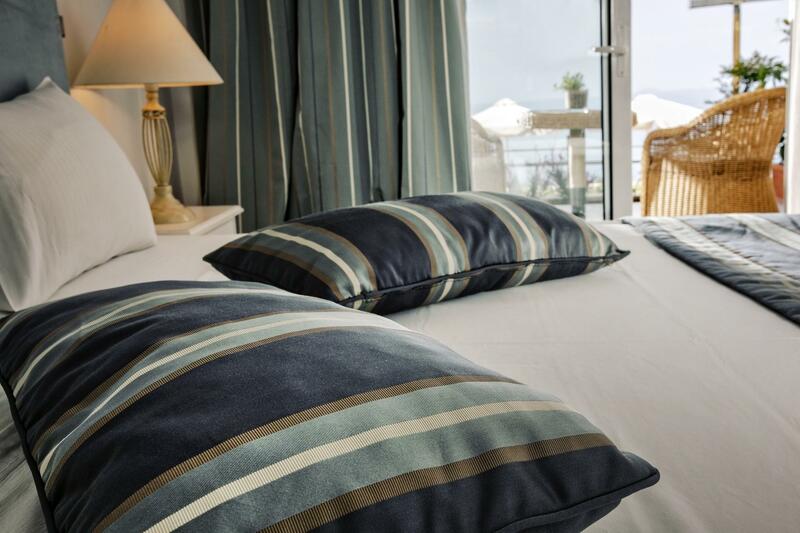 Our rooms offer a bedroom with a double bed (or two single beds) and a bathroom with shower or bathtub. 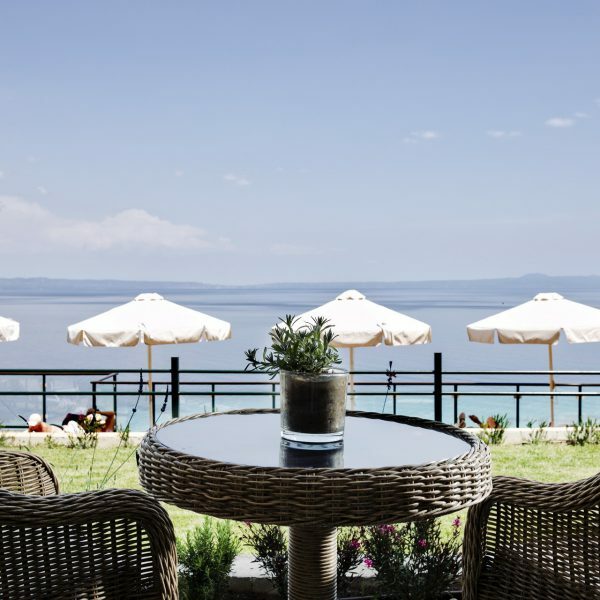 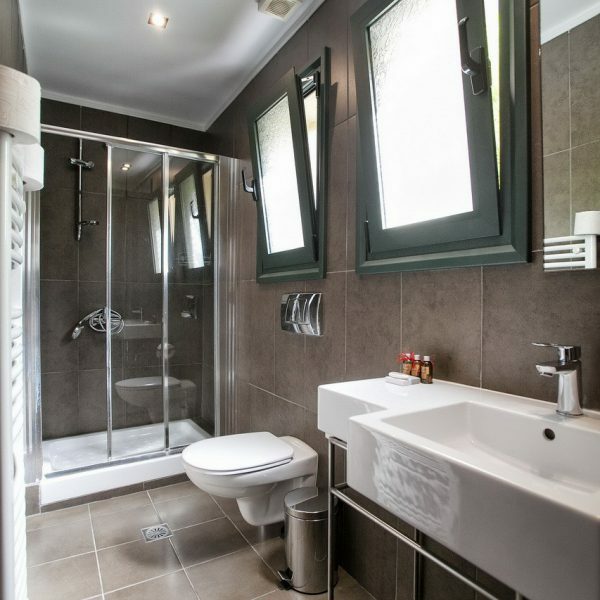 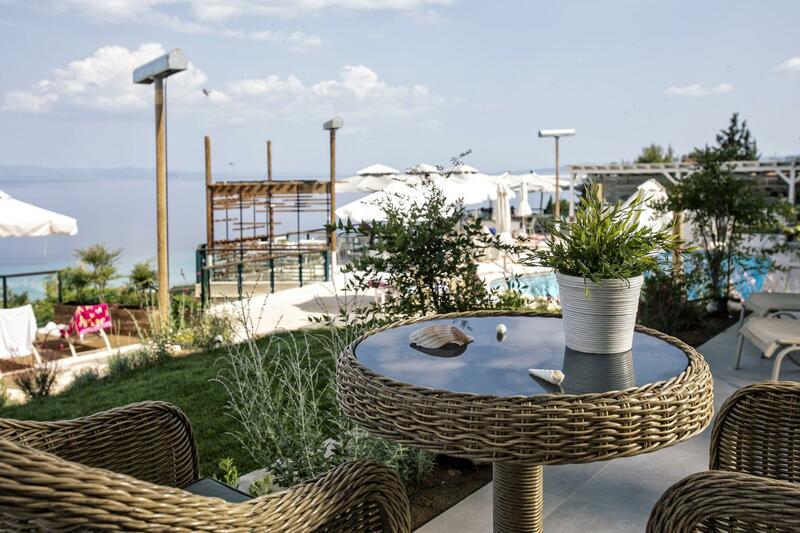 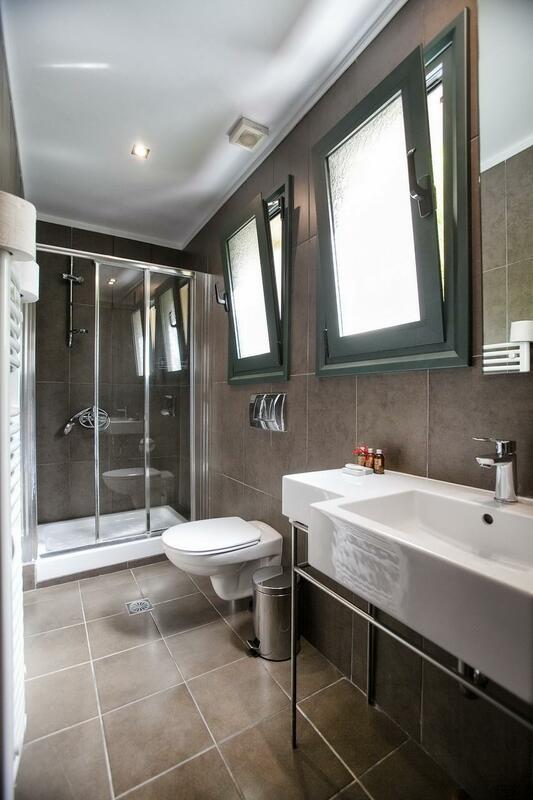 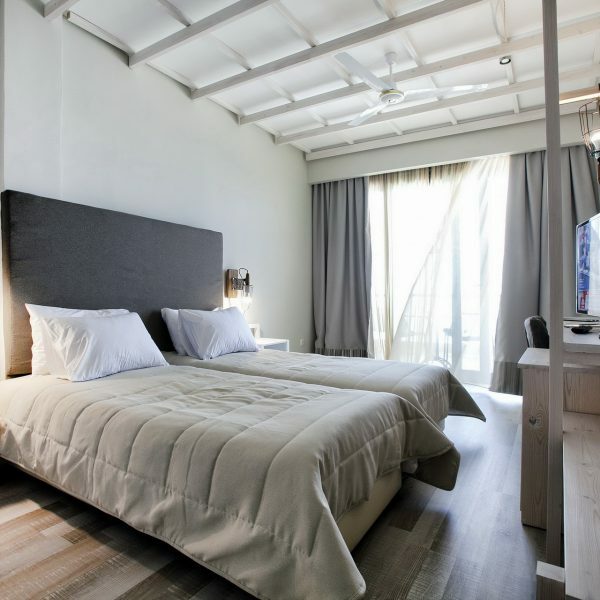 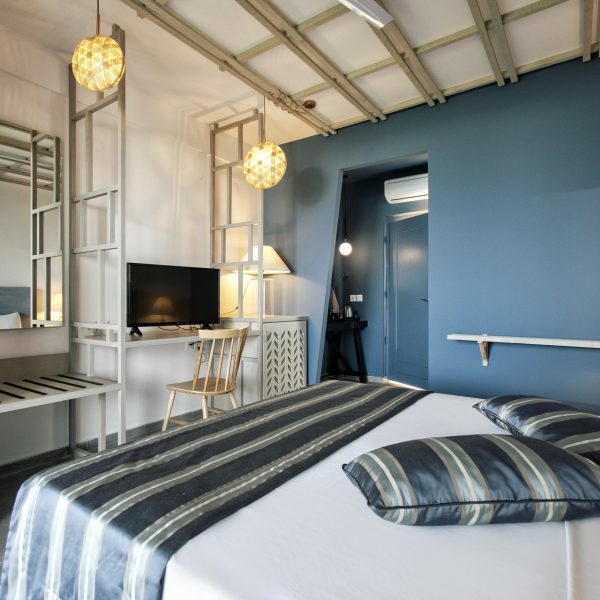 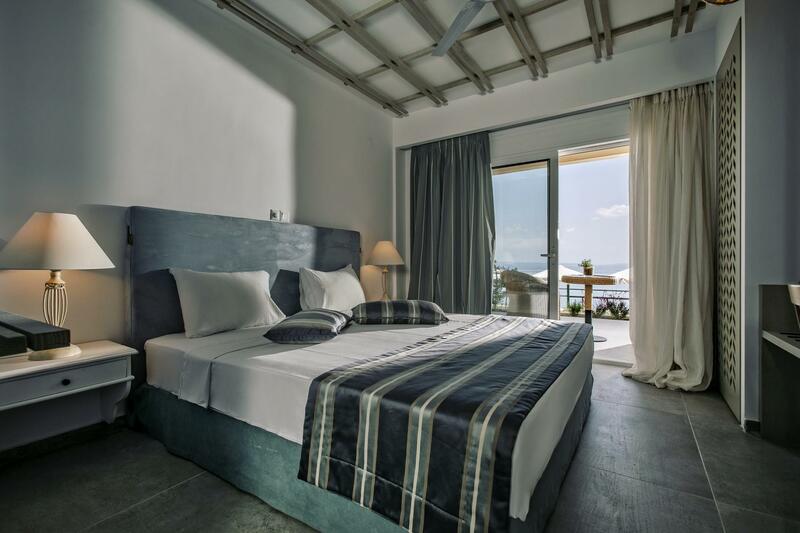 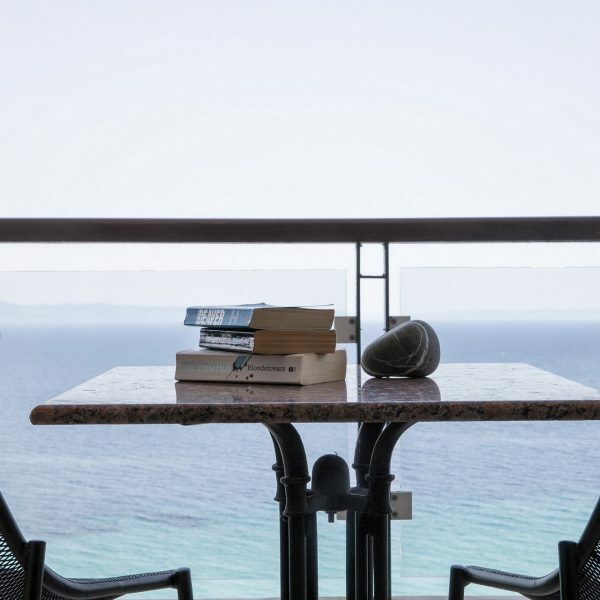 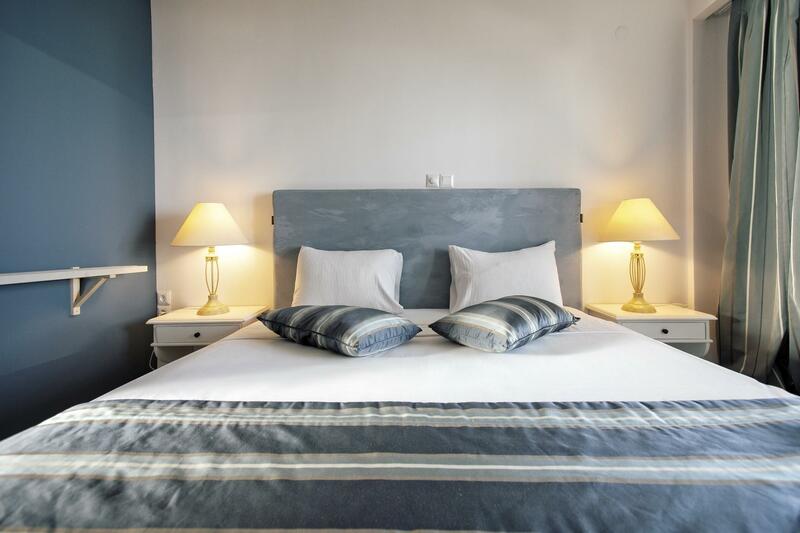 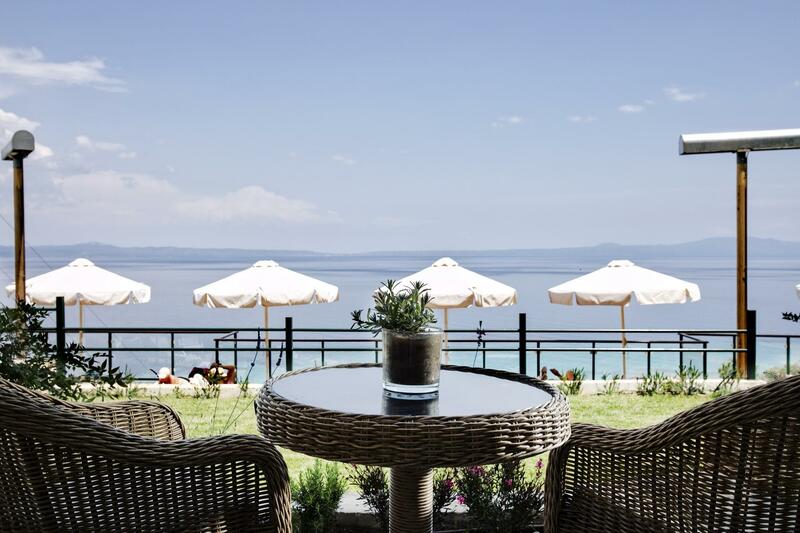 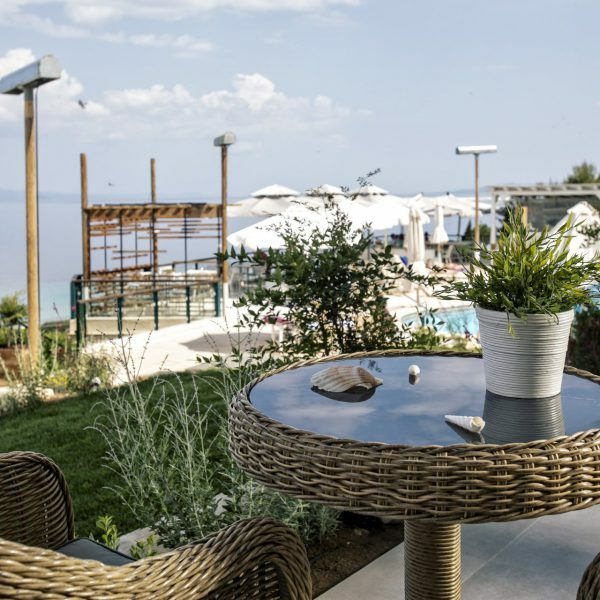 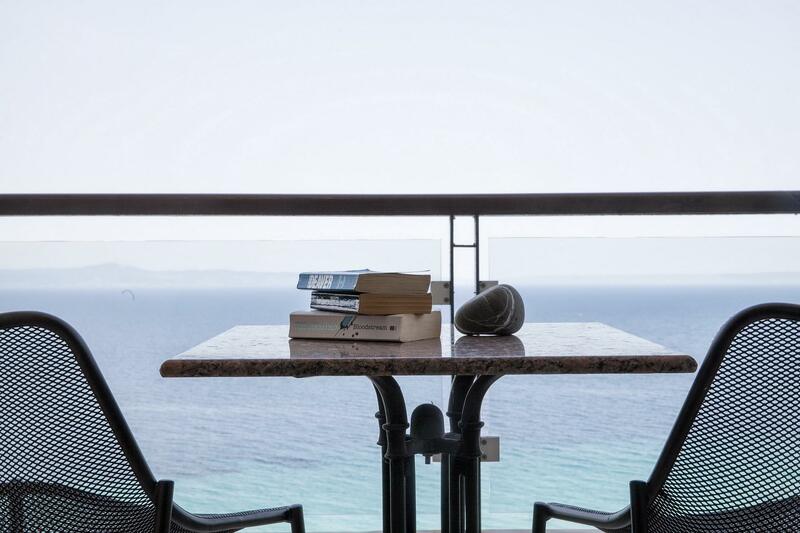 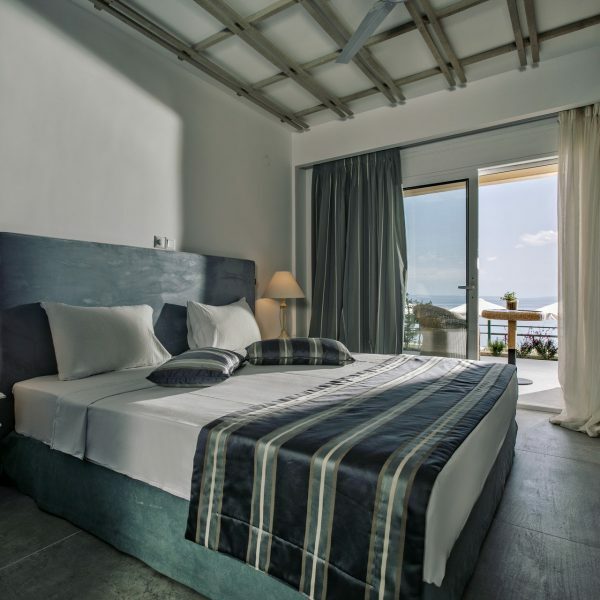 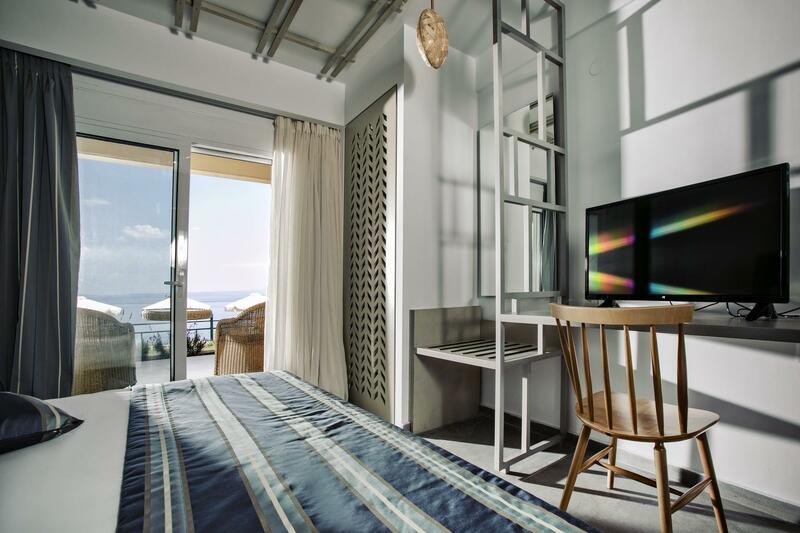 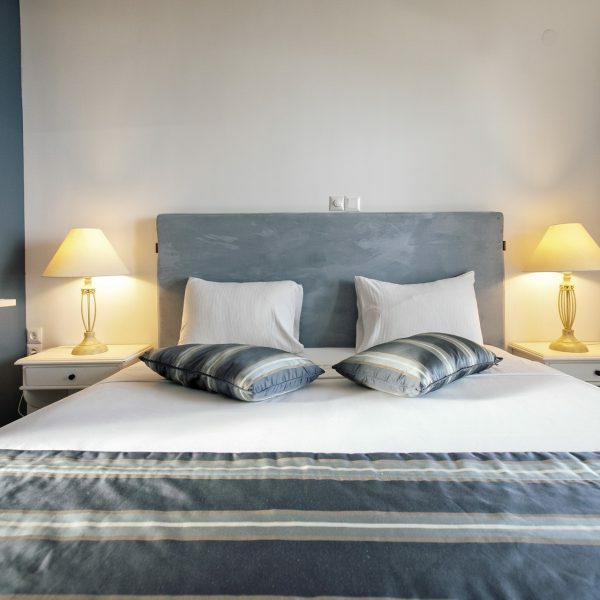 They are carefully and elegantly decorated with distinctive modern details which come to a complete harmony with the magical scenery of Chalkidiki. 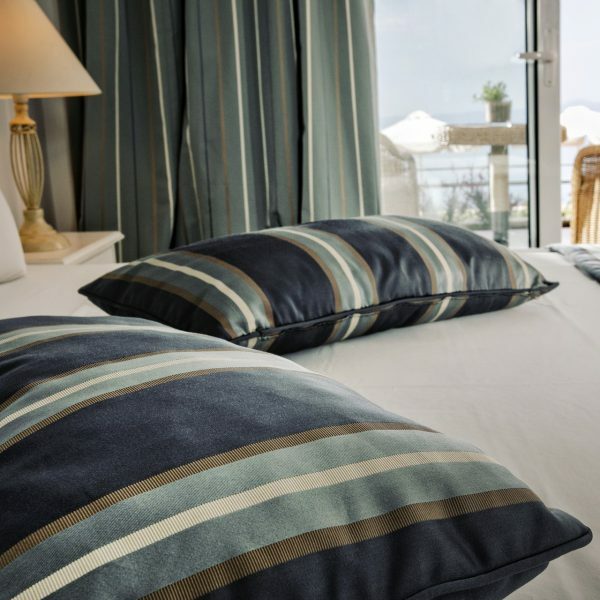 Our rooms exude an air of tranquility, hence are ideal for relaxation and rest, while they offer an exceptional view to the sea. 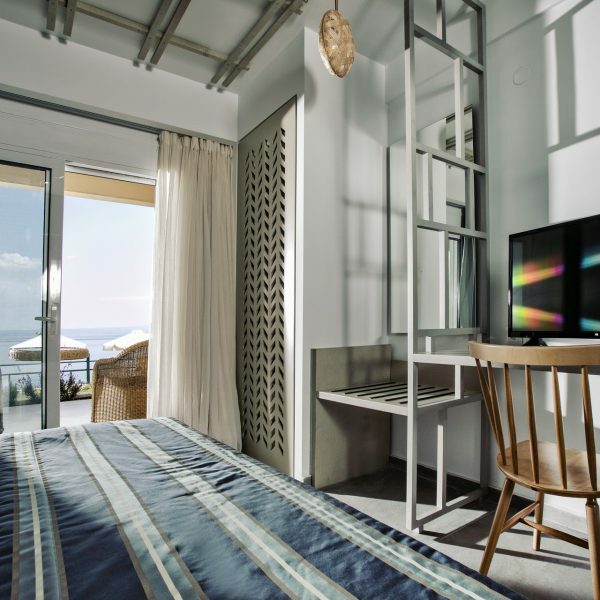 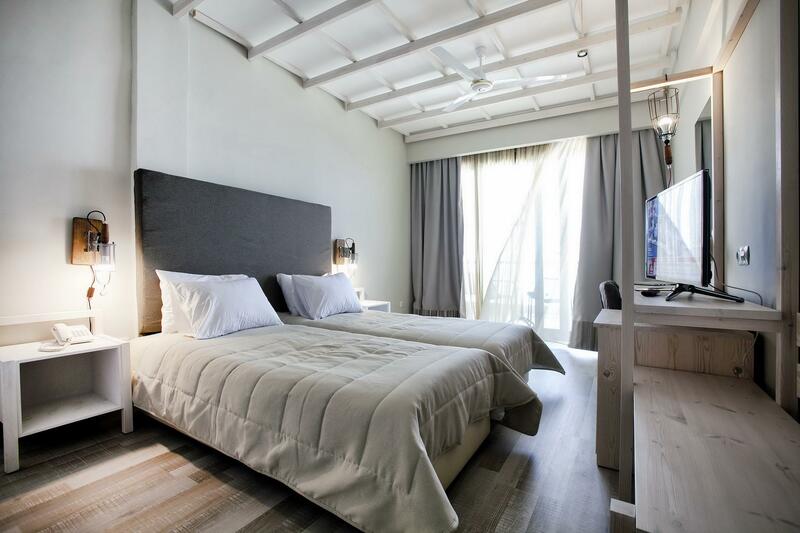 Our rooms they are 30m2 and include: 1 double bed or 2 single beds, free Wi-Fi, flat screen smart TV, autonomous air-conditioning, roof ceiling fan, medium sized fridge, mini bar, safe, slippers and bathrobes, hairdryer and beauty care products.